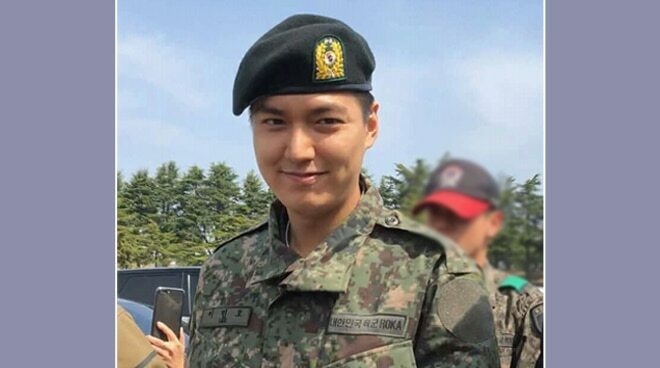 Korean actor Lee Min Ho has graduated from Basic Military Training in South Korea after four weeks in the course at the Korea Army Training Center at Nonsan, South Chungcheong Province. Photos from his graduation were posted by K-Drama Vibes fan page on Facebook yesterday, April 12. Lee Min Ho enlisted as a public service officer last May 2017 as part of his mandatory military service. After completing his basic military training, he will be returning to his post as a public service officer to serve the remainder of his enlistment. A 2-year military service is mandatory for every South Korean man aged 18-35.